In 2012, Friedman Fine Art concluded an art and graphic project for the Gift of Hope’s new state of the art facility. We specialize in creating relevant, thematic art and branding graphic programs. The Gift of Hope project consists of over 100 photographs mounted on acrylic float frames, custom paintings, hand-painted wall murals, and branding graphic applications. 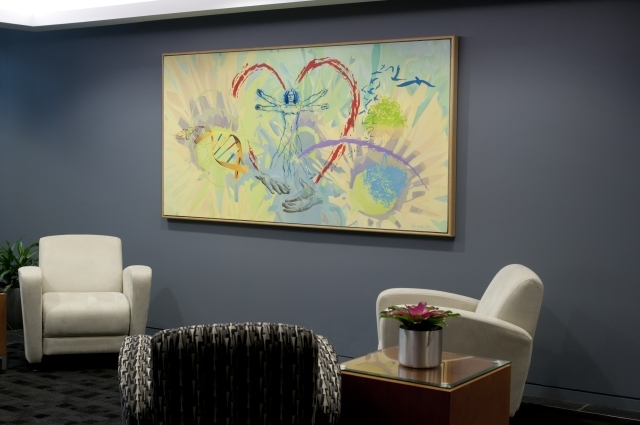 The Gift of Hope reception area is home to a custom painting by Chicago artist Peter Hurley and symbolizes the life affirming values that this non-for-profit organization represents. Friedman Fine Art also employed Chicago artist Harry Sudman to hand-paint a wall mural that further depicts the graphic themes presented throughout the art collection. 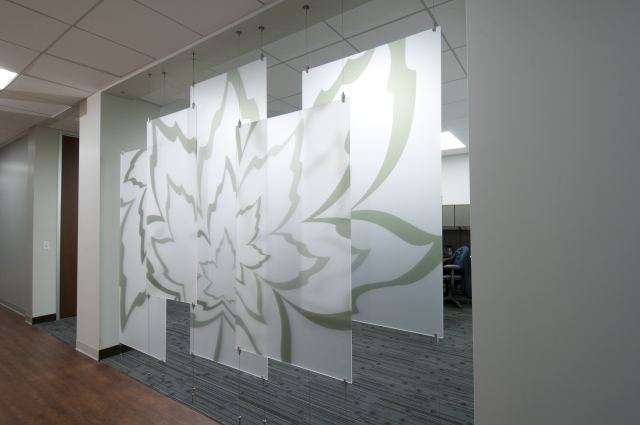 A series of cable hung printed Plexiglas panels are used as room dividers. The Gift of Hope collection consists of large panoramic and smaller series of images that complements the company’s mission. 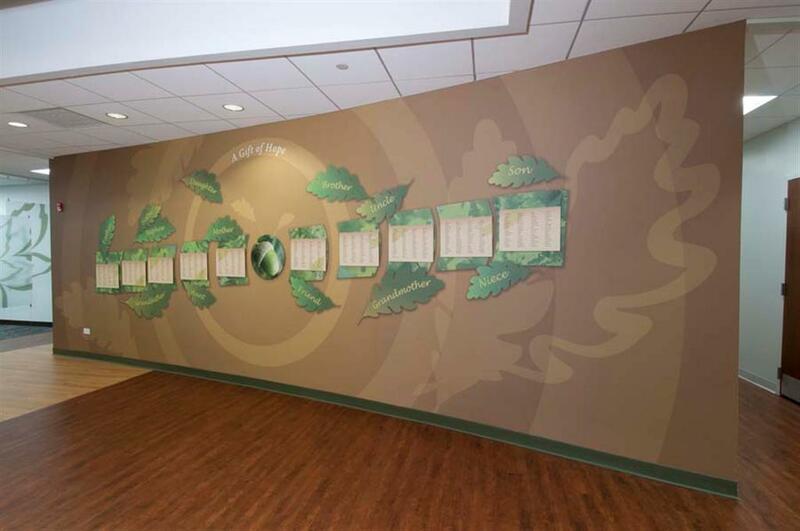 The mission statement of the Gift of Hope is in pinned painted acrylic letters below a vinyl strip featuring donors and recipients to remind everyone of the importance of this organ and tissue donor network. 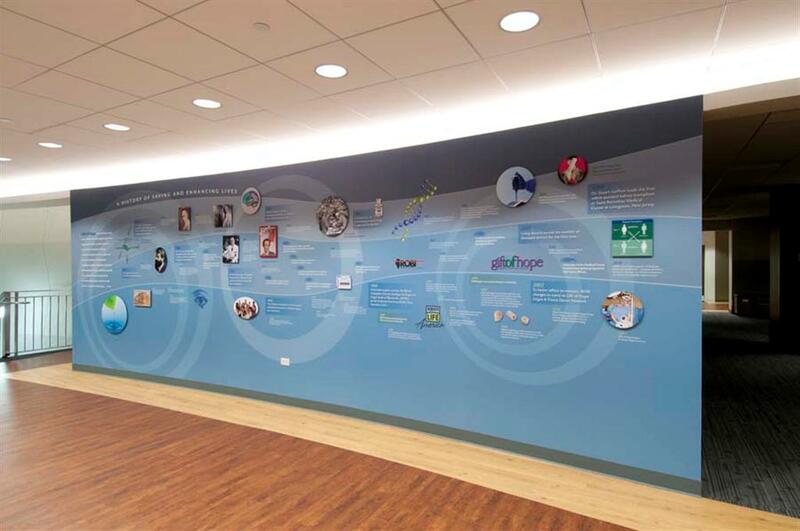 Photos of donors and recipients of the Gift of Hope were used in the graphics and the corporate mission statement that adorned the boardroom. Donor wall highlighting the names of 2011’s donors and recipients. The dimensional elements are fabricated with magnetic sheets on cleated Sintra for changeability. 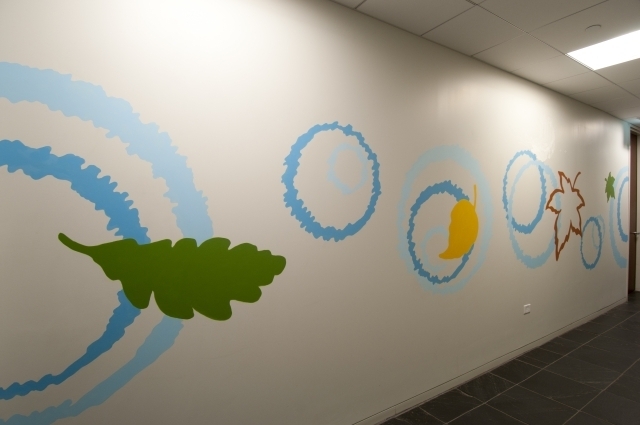 Friedman Fine Art, a local Chicago Art Consultant, specializes in installing and supplying the Corporate Product Walls to major retailers and industrial corporations. For more information please visit www.friedmanfineart.net.